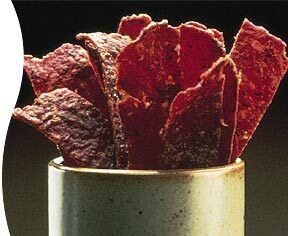 Jerky spice mix will let you make your ground beef and other meats into wonderful, flavourful jerkies. Just mix in the spice blend and dry in your dehydrator. Three flavours to choose from : Original, Hot and Spicy , and Teriyaki.